Google's elite team of Glass Explorer Program testers are getting an update today to XE7. The full changelog has been posted this time as well. Previous updates were only broken down in the private Explorer community. 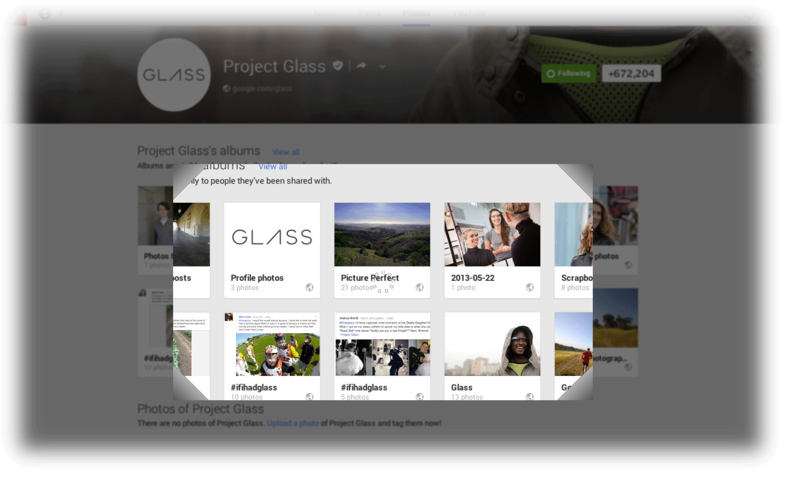 There are some substantial improvements this time, including a way to stream YouTube to Glass. 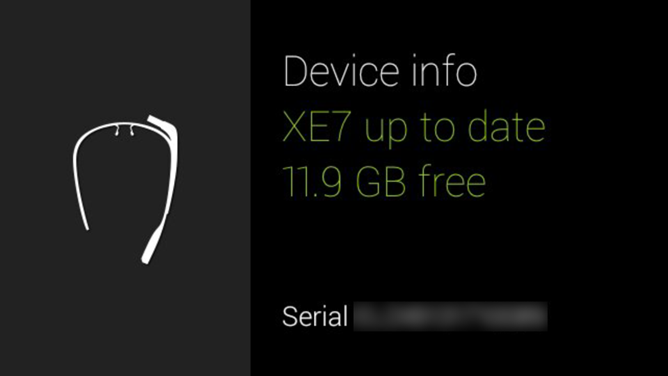 The Google Glass XE7 update brings a browser that can pull down full webpages from your search results. The touchpad uses single and two-finger gestures to navigate around the page. A YouTube video pulled up in the browser plays just fine, too. 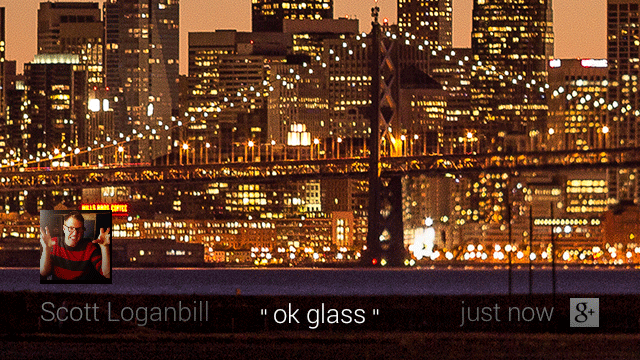 More opportunities to say "ok glass" – Glass now understands commands like "reply" and "read aloud" when viewing a message. 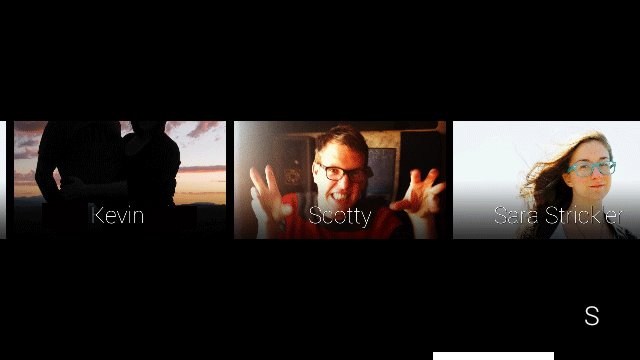 Pictures can be shared instantly by saying "ok glass, share with..." too. Answering and rejecting a call can also be done via voice. Send a message to more than ten people – The full My Contacts list is accessible with trackpad. Search improvements – More "conversational" search. For example, search "How tall is the Eiffel Tower?," then long press the touchpad again and ask"When was it built?" This seems like the functionality Google demoed at I/O on the desktop. New touch menu from the Home screen – Horizontal scrolling when using touchpad. 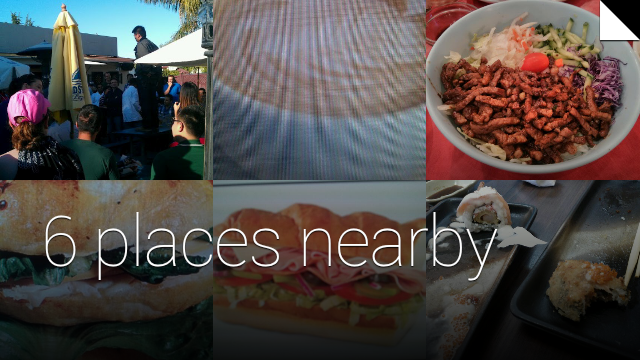 New Google Now places bundle – Nearby places are bundled together. 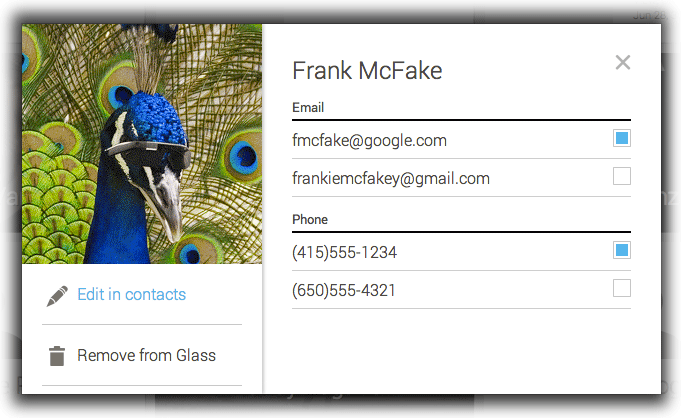 Default contact information – Choose default contact number or email for individual contacts. Email/Phone number badges – Tells you if a contact has an attached email, phone number, or both. Simple Sharing – "Sharing Contacts" is changing. 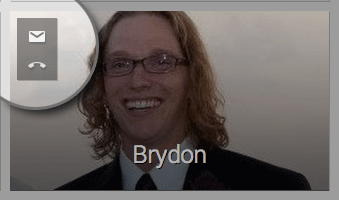 Now 10 the most frequent contacts will show up at the top of all lists for faster sharing. Bug fixes – On-Head Detection improvements, more reliable video uploads, and minor improvements to battery gauge. This is a seriously hefty update, and it should arrive on all units within a few days. 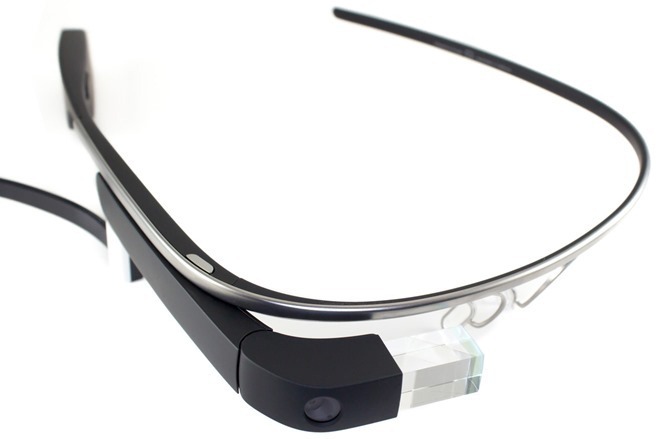 Hopefully this is just the beginning of the Glass team ramping up the changes and making the device easier to use.